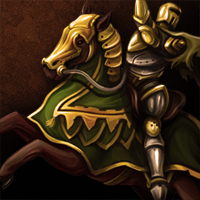 By developing this Skill your Units learn how to travel in a more organized manor. With every level of this Skill all of your Units start moving faster and faster. If you master this Skill your unorganized crowd of soldiers will become 2,5 times faster, like a perfectly controlled Army. The speed of your units is vital as it determines how much time your army will need to reach a destination when on a march. The faster your army is the better chance you have of surprising your enemy with you actions.This Skill increases all of your Units’ speed. The speed of all your units is modified with a certain percentage. The base "speed" stat of a Swordsman is 15 minutes/square. If you have developed Scout to Master the speed of the unit will become 6 minutes/square.The same applies for all your units.